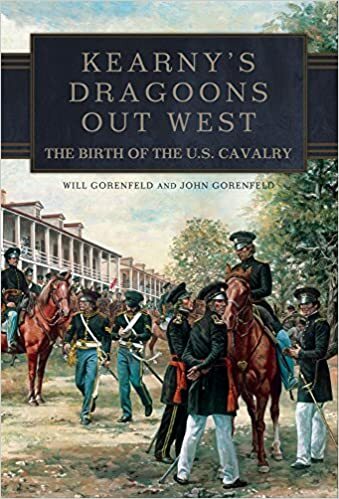 In 1854-55, an expedition of dragoon and artillery recruits, under the command of Major Steptoe, left Fort Leavenworth for the Pacific Coast. Steptoe carried with him orders to spend the winter in Salt Lake City and, while there, investigate the murder of Captain John Gunnison and his party. Capt. and Assistant Quartermaster Rufus Ingalls, a former 1st Dragoon, submitted a following report of the expedition. General: I have the honor to submit the following summary of the principal events and useful information contained in my communication* to you in relation to the march of Colonel Steptoe’s command into the Great Basin of Utah, last year, and referred to in the second paragraph of my report of the 25th of last August. I beg this may be substituted for the letters, as they contain many repetitions almost necessarily, and touch on various business matters which do not belong to a report of the march. The route from Fort Leavenworth. Kansas Territory, via the Big and Little Blues, the Platte, Sweet Water, the Sandys, Green, and Bear rivers, into the Great Salt Lake valley, has been marched over, and very minutely described, by Captain Stansbury, in his report to Colonel Abert of his explorations and surveys in 1849 and 1850. His maps of the basin are very much in detail, and he very a bly describes the resources of the country travelled over. The command of Colonel Steptoe followed his route almost all the way to Great Salt Lake City. The greater portion of the roule was travelled over and described by Colonel Fremont more than ten years ago. His interesting reports and maps are extant, and have been much referred to by overland emigrants as a guide. The rifle regiment also marched over this route in 1849, as far as Green river, where it turned northerly and followed the old emigrant road into Oregon. Major Cross, of the Quartermaster’s department, was on duty with this regiment, and rendered you a full and able report of the march, the route, and character of the country. The whole distance from the Missouri river to the valley of Green river, west of the Rocky mountains, is quite well understood by the army and emigrants. For these reasons I deemed it unnecessary to make a map or very detailed report of this part of our march. It is the route travelled over by the great majority of overland emigrants to California, and Oregon and Washington Territories. Many leave the Missouri river at Independence and Westport, others at Fort Leavenworth and Saint Joseph; but the different roads converge and form one great highway, touching the Platte at Fort Kearny, and following up south bank to crossing of South Fork, at a distance of nearly 500 miles from Fort Leavenworth. The Mormons, however, in their exodus, established themselves at , and near Council Bluffs, and the following spring (1847) took their way to the Platte, and followed up its northern or left bank. This side of the river is not considered so eligible and easy a route as the old one, which is the one almost exclusively travelled. General Harney has gone over this route as far as Fort Laramie, and his recent conflict with the Brulee Sioux was at Ash Hollow, on the south bank of the North Fork of the Platte, and upon this emigrant road. When I arrived at Fort Leavenworth, on the 12th of May, 1854, the late Major Ogden had the train that was to be assigned to Steptoe’s command quite in readiness; but most of the mules were young (many only three years of age) and required breaking before being put on the march. In making his estimate for transportation he had fixed upon the same number of wagons, mules, &c, that I had estimated for, here, before leaving. The train was at once perfectly organized, and drilled every day in order to reduce the mules to working condition. I was to take some 300 horses, but only a part of them had been assembled up to my arrival. They were being purchased in the adjacent country. In Illinois and other places, some were purchased from farmers, but many from stables in St. Louis, where they were gathered in and sold by contractors. It will be observed that, in consequence of this necessity at the time, horses of various descriptions were furnished and sent to Fort Leavenworth by land and steamboat, just on the eve of our march. It is true that nothing better could have been done, inasmuch as it was not decided to send this command overland until some time after the disastrous wreck of the ” San Francisco.” But where the public wants can be foreseen and provided for, it would be the truepolicy to employ a proper time—several months—in the purchase and gathering in at depots of horses and mules. An inspecting officer must be a superior judge of a horse not to be occasionally imposed upon by jockeys, who resort to all the “tricks of their trade” to “set up” an old or diseased animal, in order to effect an advantageous sale. That all the horses I received had been honestly inspected, I do not doubt, for I know the gentlemen, and am aware of the interest they evinced for the public service; but that several diseased horses were actually purchased and turned over to me, and subsequently died in Utah, I have established by good testimony, now on file with my property accounts. As the horses arrived, they were turned into a large enclosure to graze. Many had probably not been on grass for years; some had the distemper; and before starting, I found it absolutely necessary to call for a board of survey, which condemned 25 of them as unfit for the march. The command left the 1st of June, 1854, with about 800 horses and 448 mules. There were 70 heavy baggage wagons, each drawn by six mules, and seven light wagons, to which were attached the horses, in strings of from 30 to 40. Before the command had advanced 100 miles, most of the horses had been attacked with the distemper; but by the exercise of great care and attention none were lost. My superintendent and chief wagon-master were old experienced discharged dragoon sergeants, and had been much on the plains. They rendered me most efficient and faithful service during the entire march. My great success must be partly ascribed to their efficiency, under my direction. I kept these horses in hand day and night. By day they were led always at a walk, two abreast, in sections of a convenient number. They were attached to light wagons, which carried the lariats, pins, &c, belonging to the section. A man rode the near leader, and he, in connection and concert with the driver of the wagon, could manage the whole section on the road. The horses could travel faster, and consequently would reach our camping ground much earlier than the mule train, when they could at once be staked out to graze. Wherever there was the slightest apprehension of attack or theft by Indians, the whole force, of one man to six horses, remained constantly on the ground among the animals, except a short interval for meals. This was also the case in windy or very cloudy weather, when animals are apt to “stampede.” By these arrangements I took the animals through in good condition, and suffered no loss that would not probably have occurred with the same number of animals kept the same time in good pastures or stables. I received all the aid and co-operation from Colonel Septoe and his officers that they could give. They evinced much interest in having the expedition result successfully. 1 have never served with a command for which I entertain so high a regard and esteem as I do for the late command of Colonel Steptoe. The command probably suffered fewer annoyances than fall to the lot of most parties that make so long a journey. Most of the troops had been recently enlisted, and, like all recruits, were imprudent in food and drink just at the commencement of a march. The weather was very changeable; the roads were quite muddy, and these, added to other causes, conduced to the breaking out of the cholera, which raged only a few days. I observe that this disease breaks out in that region (Fort Leavenworth) at close intervals for the past six or seven years. The waters were high at this season in all the streams. We forded all until we reached the Big Blue, which had to be ferried. For 500 or 600 miles along this route there can be always found, during spring and summer, an abundance of good water and grass at all necessary and convenient points. Persons travelling along the Platte—and the same remark will apply to all the streams—should use the running waters of the river for culinary and drinking purposes. The waters contained in wells or most of the springs contain many deleterious substances. It is much safer to use the living running water. The command arrived at Fort Kearny the 21st June, where it remained two days, and then moved up the Platte to ford on South Fork, which we made on the 6th July following. This river usually has given parties great trouble and delay in crossing at this season, when it was swollen by the melting of the mountain snows. On our arrival the waters were quite high; so much so, that we found all the old “crossings” impracticable. We moved above some four miles; and by surveying a meandering route, succeeded in establishing a very easy ford. What may be considered a good ford one year, may prove an impracticable one the following season, owing to the shifting of the quick-sands that form its bed. The stream here is 800 or 900 yards across. There is no timber or other material in the vicinity for rafting; of course it would be difficult and expensive to bridge it: though citizens have thrown a very substantial one across the North Fork, where, however, the stream is comparatively narrow, and the bed hard. As we reached the Platte we saw Indians for the first time after leaving Leavenworth. The Pawnees, and others, had studiously avoided us; and that wa6 the case, as a rule, during the entire march. These Indians fled at our approach; and we saw no more until our arrival at Fort Laramie on the 16th July. Here we saw and had conference with quite all the Sioux, who affected great friendship. This was only a short time prior to the unfortunate massacre of the late Lieutenant Grattan. The Indians had dispersed the buffalo on their range between Kearny and Laramie. We were in sight of comparatively few, and for a few days only. After remaining two days at Fort Laramie the command moved up the North Fork and forded it, on the 31st, to the left bank. From this place across the desert “divide,” some fifty miles, to the Sweet Water, is a march that very frequently breaks down emigrant trains. The whole distance is over a miserably poor, sterile, arid country. There is no timber—no trees—very little grass and good water; but an abundance of poisonous alkali springs. We knew the country, and averaged our marches so that we passed it safely. The Sweet Water, last season, like the Humboldt this, was in a good state for travellers. It has its source in the mountains, within a stone’s throw of waters that flow into the Gulf of California. We were now evidently very nearly on the summit of the “back-bone” of the continent. The command marched through the ” South Pass” on the 11th August. From this pass to Green river the grass is scarce, but still enough can be found by proper search. Most parties, in their journey across the plains, have the same or similar guide notes; consequently all of them seek the same camping grounds. This is a fruitful source of misfortunes and suffering to stock. We always avoided the old camp-grounds, and, of course, fared well. The grass is always consumed at the regular stopping places. The road from Green river, across the Wahsatch mountains, is over a very rough, mountainous region. In crossing this steep range we were at our highest elevation on the whole route. The march from the Weber to the city, a distance of only 50 miles, came nearer breaking down the train than all the preceding march. In descending from the summit, where the road crosses the range, to the basin below, one goes down over 3,000 feet! The command reached Great Salt Lake City, the first settlement in the valley, on the 31st August. My report of August 25, 1855, will be found to embrace all necessary information concerning the movements of the command, and my operations in the Quartermaster’s department for the past winter, and march this year. The resources of Utah are many, but as yet quite undeveloped. At ention, so far, has been very properly and necessarily turned to agriculture. RUFUS INGALLS, Captain, Assistant. Quartermaster. Quartermaster General U. S. A., Washington City, D. C.
Benicia, California, August 25, 1855. General: Having now completed my duties connected with the overland command of Brevet Lieutenant Colonel E. J. Steptoe, before leaving for the east, I deem it proper to submit the following for your consideration and satisfaction. I have always kept you informed of all my movements and operations in the Quartermaster’s department by frequent letters, particularly of all occurrences from the time of my leaving Fort Leavenworth to my departure from Great Salt Lake City. I shall, therefore, in this sketch, touch but briefly on anything relating to the march of last year. Should you desire to embody the particulars of that march in a report, I beg you will refer to my letters to you of June 2, July 9, August 28, September 30, October V9, November 27, 1854, and February 6 and March 31, 1855. These letters contain all necessary information. Enclosed herewith is a map of the whole region of country lying west of the Wahsatch range of mountains to the Pacific coast, between the 31st and 43d parallels of latitude. This map has been prepared with great care from the best maps and reports tnat have been published, and from notes and drawings taken by myself and other officers of Colonel Steptoe’s command. 1 hope that that part of it on and near the routes passed over by Colonel Steptoe and myself will be found quite accurate. This map shows the routes taken by the different detachments of the overland command from Great Salt Lake City to Benicia, Forts Lane and Tejon, the camps, measured distances, and the topography of the surrounding country. It is accompanied with a descriptive list, giving all necessary explanations of the character of the roads, distances, time when passed over, resources of route for grass, water, fuel, &c. These have been prepared with a view to afford you an opportunity to obtain a knowledge of the operations of Colonel Steptoe’s command at a glance, and to answer as a guide to any military expedition detached over any of these routes. I also enclose a map of the Great Basin which immediately surrounds the Great Salt Lake, Lakes Utah and Sevier. This will give you a correct idea of the character of that singular basin, the localities, number, and description of the various Indian tribes of Utah Territory. These maps are submitted in order to convey the necessary information by the eye, to those interested, and to avoid long written reports, the reading of which would, after all, fail to afford that kind and amount of information given at one view by these maps. I received orders from the War Department on the 6th April, 1854, to proceed to Fort Leavenworth, and report for duty as assistant quartermaster with Colonel Steptoe’s command, under orders, by the plains, for California. This command consisted of two companies of artillery, and about eighty-five dragoon recruits. In the Quartermaster’s department there were some 130 citizen employes, as teamsters, ostlers, and herders; 450 mules, 300 horses, 70 wagons, &c. There were, on an average, 300 persons, soldiers and citizens, and nine officers. Before leaving Fort Leavenworth, Colonel Steptoe received instructions from the War Department to secure the murderers of the late Captain Gunnison, if he found it practicable, on his arrival in Utah. Up to this time it had been expected that the whole march would be accomplished by the end of September following; but to carry out the spirit of his orders, it was now foreseen that the Colonel must necessarily have to pass the ensuing winter somewhere in the basin, for the band of Indians to which the murderers belonged inhabit the country lying 150 miles, or more, to the south of our route; and at the season of our probable arrival there, these savages could easily flee to the canons and inaccessible recesses of the mountains. They can be successfully dealt with only in rigorous weather, when the snows are deep in winter, unless they are cajoled and entrapped under false promises, as some poor tribes have been by irregular troops. In consequence, therefore, of the expected detention, it was not necessary to make long or wearisome marches, but to journey along eisurely ; for, while actually on the plains, the command engendered no extra expense, and it was to the interest of all concerned not to reach the basin until autumn. fornia, the whole command was unusually healthy, suffering hardly any mortality in these elevated regions where the atmosphere is dry and pure, and the climate delightfully salubrious. The route followed corresponds very nearly, if not exactly, with that taken by Captain Stansbury m 1849, and which is carefully, accurately and fully described by that officer in his maps and reports, as published. The geology, botany, topography, &c, of the route, and country generally, are so truly described by Captain Stansbury and Colonel Fremont, and so well known by thousands of immigrants, that it is unnecessary, even were it my province, to make any remarks descriptive of the route so far as Great Salt Lake City. I will simply observe that the march was conducted with great regularity and system ; that there always prevailed contentedness and harmony in the command; that no accidents by high water in crossing rivers, or scarcity of grass for our stock, occurred on our whole march. The command reached Great Salt Lake City on the 31st August, 1854, having been ninety-two days out from Fort Leavenworth, and having travelled 1,216 miles. The marching days, however, were only sixty-four, making on an average nineteen miles per day. After resting in the city two days, the march was resumed to find a suitable location for a winter grazing camp. At a distance of forty-five miles from the city, in a southwest direction, we found an uninhabited, valley called ” Rush valley,” which answered our purposes most admirably. We found it by experiment to be so very eligible, that a survey was made of the proper portion, a map of it prepared and forwarded to Washington, with a recommendation that it be declared a ” reservation for military uses.” It has been duly declared a reserve since by the President. Colonel Steptoe with his troops returned to the city on the 14th September, and remained in quarters there until last April, .5th, houses, stables, &c., having been rented for his accommodation. The climate is too cold there, and the season was too far advanced, to render it expedient to put up temporary quarters for the winter. Had this been attempted, many of the men would have fallen ill; winter would have arrived before the troops could move in ; the building would have been attended with considerable expense, and the market would have been at a distance. I regard the arrangements that were actually made, as having been the most comfortable and economical that could have been entered into. I kept the citizen employes, and most of the quartermaster’s property, such as horses, mules, wagons, at the grazing camp all winter, and until our march this last spring. The men were employed day and night cutting hay and fuel for winter use, attending to the horses and mules, and guard duty. They cut and hauled some 200 tons hay and 300 cords wood, and erected quarters, storehouses, corrals, and stables for the accommodation of themselves and animals, which are now standing in good repair, unless destroyed by Indians on the reservation in Rush valley. The sums disbursed in the Pay and Subsistence departments would have been as great anywhere else, of course—probably greater in the latter department; but had the command moved on into California last year, the sum necessary to have been disbursed in the Quartermaster’s department would have been very much less; indeed it could hardly have exceeded $20,000. As-it was, however, there was no way of avoiding a heavy expenditure, unless the horses had been (as they might) sent forward last autumn. Over such matters I had no control. It was decided they should be kept all the time with Colonel Steptoe’s command ; and [ was directed to provide grain for them, to keep persons employed to groom and look after them, and to deliver them at their destinations in as good order as possible this year; all of which I have performed. I have often informed the department that I could have delivered these horses in California on or before the 30th of last September, had I been permitted so to do, or relieved from duty with Steptoe’s command for that purpose. The horses I think, though, are better now, and will wear longer on account of passing the winter in Utah. They had never been herded, and I could not risk the experiment often. I tried to teach them to herd; but they ran themselves down so rapidly, and the Indians threatening to be troublesome, I was forced to keep them up in yards. Consequently, the forage item was a heavy one. A part of the winter was severe, and during such time all the animals (over seven hundred) had to be foraged with grain and hay. ence there, will have (already has had) a beneficial effect. It will prove money well expended. As spring approached, however, the chief Mormon, who had agreed to act as guide, became rather restive, and evinced an unwillingness to go, which caused the Colonel to distrust him, and shook his confidence in the report he had made of the road. As a matter of security, another party was organized under “Porter Rockwell,” a Mormon, but a man of strong mind and independent spirit, a capital guide and fearless prairie-man. He went out as far as the great desert tracts lying southwest of the lake, and very nearly on a level with it, and found that at that season they could not be passed over, ” unless with wings,” and returned. It proved fortunate that we did not undertake the march with O. B. Huntington as guide. The march would have been disastrous ; though Rockwell and others are of the opinion that by going on a line some thirty miles farther south, along the foot of mountains seen in that direction, a fine road can be laid out, avoiding, in a great degree, the desert. I believe such to be the case myself. I am clearly of the opinion that a suitable officer could, by a proper reconnaissanoe, lay out a road passing by ” Rush valley,” turning southwest, and going by New river, Walker’s lake, into Carson valley, and save 200 miles distance. This route having been declared impracticable, the Colonel decided to pass around the north end of the lake, and thence by the Humboldt to Carson valley. In the mean time, Lieutenant Mowry was detached with the recruits and horses due at Fort Tejon, and ordered to proceed over the southern military road to that post. By reference to the descriptive list accompanying the map, the routes taken by each portion of the command are fully described—dates, distances, name of localities, and resources are given. I shall not, then, particularize in this report as might, were it not for the map and list, be necessary. successfully for grains. The nights are always cold. Before leaving the city 1 had purchased two boats, which were transported on wagons and served as beds to them, to use on this river and the Humboldt. They were of importance to us, but were abandoned in the Sierra a long time afterwards. The road should cross Bear river below the confluence of the Mad. Had we crossed there, more than 20 miles travelling could have been avoided. After leaving this river there are two marches without much good water or grass. There are springs, but their waters are not either abundant or sweet to the taste. We found no difficulty, however, in finding good camps. On a march over a rough, new country, with a large number of animals, persons should be sent each day in advance to be sure of getting the very best and most favorable localities. Such was our rule invariably, and if there, were any grass and water we always had the benefit of them. Much time and anxiety are saved by this course, not to speak of other advantages. We found the roads quite good so far as the Humboldt, except in and near the Goose Creek mountains; there the road is rough, but still very practicable, and cannot be much improved. I have never in my travels seen such curiously shaped mountains and hills as I saw from the divide on these mountains. They are of all manner of shapes and sizes, and are piled up, or seemingly thrown very carelessly together, without the remotest attempt at order or utility. The road meanders through and over this singular region until it reaches the sources of the Humboldt. This region of country from the lake through to California is infested by nomadic tribes of Indians, generally of the lowest order of beings. They are troublesome and dangerous to stock-drivers who yearly pass over this route. They are infinitely worse, and more to be dreaded now, because their native propensity to rob and murder is sharpened, excited, and refined by contact with white men of notoriously bad characters, fugitives who have gone among them. They are induced to steal horses and cattle, and then exchange them with these persons for trifles, If the truth were known, it would be discovered that finally these cattle find their way into the hands of traders who are slightly interested, probably, in the thefts committed by the Indians. The command was never molested by Indians on the whole route, but the drovers in our vicinity were frequently disturbed and annoyed by them. Colonel Steptoe was applied to for protection. A military mounted force moving through this country every year would serve to keep the road clear and safe better than any stationary command. 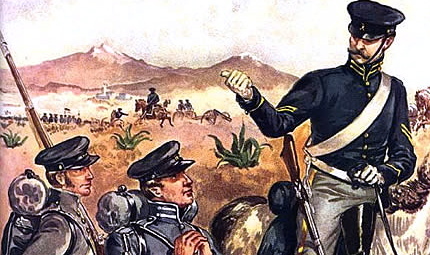 If a company of dragoons should start from the Salt lake, another from the Dalles, or Fort Boisee, and one from Fort Reading or Lane, in each spring, and march out into the interior, say on the Humboldt, and then return to their respective posts in autumn, the Indians over all this vast area would be held in subjection; the immigrants and drovers would not be molested, the expense to government would be decreased for the time the troops might be out, and a great saving would thus be made to the army as compared with the establishing of fixed posts in the interior, which are supplied and kept up only at a great expense, and are at best inconvenient to the service and uncomfortable to officer and soldier. I make these suggestions as they correspond with my observation and experience. They are not by any means original with me. I have noticed that these small, distant and isolated posts do little more than keep possession, and exercise control over those Indians near by. At a distance of 30 miles they will commit a massacre or robbery with comparative impunity, because the posts cannot afford to send out sufficient detachments without weakening themselves too much; while a strong, well mounted marching force inspires more respect. The command reached the Humboldt river on the 28th of May. This stream, like many others in this basin, finally disappears in the desert. It flows westerly nearly two hundred miles, then turns rather abruptly south ninety miles, and is lost in what is known as the ” Sink of Humboldt.” It is usually a source of great embarrassment and loss to stock-drovers to journey along this river, on account of the alkali waters and great scarcity of grass during seasons of high water. When the river is over its banks, and the narrow ” bottom” inundated, it becomes necessary to keep on the bluffs or sandy ridge that borders and binds the valley. There are then many sloughs and hollows, filled with water strongly impregnated with alkali, and the rivers at such times difficult to approach. There is scarcely any grass to be found, and the traveller must exercise great caution, or he will lose all his stock here. But I should say that, generally, it would be safe to travel along this river any time after the 10th of June. Our command was exceedingly fortunate. The waters were unusually low. The bottom was dry and covered with rich blue grass. The train was able to go on the now hard-bottom road; the running water of the river, which was fordable at all convenient points, was palatable and wholesome. I have never journeyed two hundred miles along any river with the enjoyment and satisfaction that I did on the Humboldt. We sometimes saw Indians near the sources of the river, but they did not appear to notice us; they were chiefly old “Diggers,” and were too busily engaged gathering seeds and insects, and snaring squirrels for their dinner, to have time to look up at us. They are like the beasts that roam over these wilds, little removed from them in instincts and habits. They are manifestly very low down in the scale of human beings. It is said they are improving since their country is travelled over so much of late years. If the whites substantially benefit these Indians, it will be for the reason that their condition could not be made worse. I have seen most all of our Indians, and the instances are rare where I have witnessed any permanent benefit resulting to the red man from contact with the white. Oil and water are more similar, and will mix on more easy terms. The Indian in the end has to “move on” or do worse. The command reached Lawson’s (or Lassen’s) Meadows on the 10th of June. It is at this point where the river turns south, and where Colonel Steptoe detached me with the horses due at Fort Lane, on Rogue river, Oregon. The Colonel pursued the old Carson valley route with the artillery companies, and arrived at Benicia (his canimand) on the 12th of July. By reference to my map and descriptived list, a history of his march will be found. It was rather rapid and quite successful. .On the supposition that I should or ought to be sent to Fort Lane direct with the animals required there, I instituted inquiries in Great Salt Lake City for guides and information of the road necessary to follow, but could gather nothing reliable. No one there had ever been in Rogue River valley. I heard, however, that there was a road leaving the Humboldt at Lawson’s Meadows, which followed a northwesterly course and entered California near Yreka. While we remained in camp at Lawson’s Meadows, a man came in who knew some points on the way and a portion of the trail. I employed him as guide, and although he had no minute knowledge of the road, still he knew all the prominent points, and rendered good service. Lieutenant Allston, in command of fifty dragoon recruits, accompanied me. He was not placed under my command, because it was said I could not, had no right to exercise command in the line. I contended that I was competent for assignment to a line command, though I could not succeed to it under ordinary circumstances. To avoid all controversy, it was ordered that the Lieutenant should make his marches and camps correspond to mine. I left Lawson’s Meadows on the 14th June, with 122 horses, 112 mules, and 17 wagons, and moved out 18 miles, over a very fair road, to the side of a mountain, where there were water and fine bunch-grass. From this place the road leads over a sterile, dry desert for some sixty miles, without water or grass of a good quality. It is true there are some boiling springs, and a slough with alkali water; but it is decidedly dangerous to permit the stock to more than taste of it. By taking an early start, I crossed the main desert to Black Rock (40 miles) in one day, without fatigue, and the following day arrived in a country well watered and grassed. This road was travelled by quite a number of immigrants in 1852, and the signs are sadly frequent, to this day, of their great suffering. They crossed later in the season, when the weather was hotter, water more scarce and poisonous, grass dry or eat up, and themselves in a jaded and worn down condition. I saw the remains of numberless wagons and cattle on this desert; and not being acquainted with the country in front, I almost wished myself back with Colonel Steptoe. Whole wagons were sometimes met with, and very near by would lie the bleached bones of oxen that could draw them no further. Most of the wagons had been burned. The trace was strewed with pans, boxes, tires, and all manner of property usually seen in immigrant trains. The road was quite well marked thus far, but further on it gets dim and faintly marked, and sometimes it could not be traced at all for miles. It does ?not appear to have been used since the disasters of 1852, though I am highly pleased with it; and had I stock to take through, would certainly pursue nearly this same road. In early spring most of this desert is -covered with water, and, of course, would be difficult to cross. The latter part of June is the best season. The roads then are quite hard and smooth. Black Rock is the southern point of a volcanic ridge which terminates here, near some immense boiling springs. It is a singularly picturesque and wild-looking place. It is where Colonel Fremont passed along on the 2d January,’ 1844, on his way from the Dalles south. There are very many isolated basins in this region: some quite small, others on a grand scale; in the centre of each is generally a mud lake, caused by the melting of snows. On the 17th I came to the remarkable cafion described by Fremont, who passed through it two or three days before reaching Black Rock. This canon is some twenty-five miles in length, and is one of the most wild and romantic spots I have ever seen. I had much labor to perform in order to take the train through. There were many marshy, Manry places that I was obliged to bridge and causeway. I would remark, that from the desert on to Fort Lane the grass and water were always abundant, and a more lovely and interesting country, at that season, I never saw. The animals really improved each day. The road was always quite practicable, after bestowing proper attention to the bad places. I kept a party in advance to remove all obstacles, and suffered, in consequence, very little annoyance or detention. On the 23d June, I crossed the main ridge of the Sierra Nevada. The ascent was steep and rather long, but not rocky, nor was there any snow. Very few of the teams were ” doubled.” From the lake on the east to Goose lake on the west, is only eight or ten miles. Here distance ought to be saved, by crossing the Sierra just to the south, so as to descend at the very south end of Goose lake. I observed the pass, but considerable labor is indispensable before it would be practicable. The pass is heavily timbered, but lower and of a much easier grade than the one now in use. From the summit we enjoyed a most extended and pleasant view; we could look far to the east and west. The lake on the east is filled with salty water, disgusting to the taste; but Goose lake, which is some forty miles long and ten wide, is a most lovely sheet of fresh water, with myriads of shore-birds and water-fowl around it. There were many clear cold streams running into it. The grass was luxuriously abundant all around. I was charmed with the beauties of the place, though sadly reminded of the fate of poor Captain Warner, (who was massacred here,) by the numerous telegraph fires of the treacherous Indians. The road passes around the south end of this lake, and upon the west shore some eight miles, and then crosses a most dreadfully and fearfully rocky divide of twelve miles, when it falls into a nest of contemptible sloughs or spring-holes, and marshy ground. This could be avoided in a great measure, I think, and much distance gained, by crossing this divide farther south, thereby making the road much more direct. The rocks on this divide are not large, but are angular and loose. They are volcanic vitrified rocks, that wear down the hoofs of animals rapidly. In this vicinity are Clear, (Am-pa,) Rhett’s, and Klamath lakes, and some serious sloughs; but I came across no very stubborn obstacles. I regard the road, considering the advantages of grass, water, &c, as a very good one. I crossed the Cascade mountains through Applegate’s Pass, or on a trace cleared by him some years ago. He seems to have done it with great judgment. The road passes over a most rugged mountainous range, and through a forest; but still it presents no obstacle to wagons. After descending from these mountains, I reached Fort Lane in 27 miles, on the 6th July, having travelled 368 miles, from Lawson’s Meadows, since the 14th June. I took in and turned over every particle of property that I started with. I neither lost nor abandoned anything on the way, and the horses and mules were in fine condition. The wagons were very acceptable at Forts Lane and Scott, as they cannot be got there from any other direction, without great expense and difficulty. After remaining at Lane three days, I took all the surplus animals that were not wanted, and left with my party, provided with packs, for Fort Reading. These animals were turned over there on the 20th July; but, as I was responsible for the train that came with Steptoe, and as it was necessary to pay off and discharge the citizen employed, I left my party in Scott’s valley, and came with rap’dity to this post, where I arrived on the 18th July, in time to perform all duties connected with the Carson Valley command. Since my arrival here, I have been busily occupied, with my clerks, in preparing my public accounts for the 2d and 3d quarters of this year, completing sketches, maps, &c.; so that I may be able to leave here for Washington on the 1st proximo. Before closing this report, I trust you will permit me to indulge in a few remarks touching Utah and its inhabitants, Mormon and Indian— the more particularly as there may exist in your mind a desire to know some few facts in relation to the singular people who live there, and as hereafter events may make it interesting to have heard them. I assure you, that whatever I may remark here shall be the naked truth, told in a few lines; and if vouchers are asked for, call on Colonel Steptoe and all the officers of his command. So much has been said and written about the Mormons, among whom we were thrown for the past winter, that were it even expected I should discuss their peculiarities, I would most certainly approach the task with great diffidence, fearing that, like most others who have touched the subject, I should permit my prejudices or prepossessions to induce me involuntarily to convey erroneous views instead of an impartial and just one. Captain Stansbury and the late Captain Gunnison have written much in praise of them; and I do not doubt their sincerity. They described the Mormons as they then saw them. If these “saints” had not sometimes raised the veil and disclosed to us their real intentions, feelings, and character, we too should eulogize them. We possessed opportunities for observing the shady side of this people, while the officers referred to always saw them in sunshine. They treated these officers with marked courtesy after their first acquaintance, and upon conviction that they had everything to gain and nothing to lose by affecting a liberal and polite feeling. But that these same Mormons had, prior to the arrival of Captain Stansbury in the Basin, and before the true objects of his visit were understood, “counselled” that he should be “whittled” off—a former favorite and prevalent pastime with them—or that he should be persecuted away by letting him “severely alone,” there can be but little question. They quickly saw that they could gain by affected friendly contact with these gentlemen, and defer to a later day an era that must dawn upon them—an era when, aside from religious frenzy and dictation, they must be obliged to regard the obligations of our ” common law” and constitulion as paramount. That they do not now so regard them, I should say is very evident to all who may have heard them—I mean the priesthood—talk, and have observed their ” counsellings.” When the Mormons are referred to, it should be borne in mind that only a few of the whole number is meant. The great mass of the people are quiet, good men, chiefly foreigners of the lower orders, who do in all thingt exactly as they are told to do by their Prophet Brigham Young and his many apostles and elders. The common people have much merit of a negative kind; for instance, they are remarkably industrious, but their industry is far from being voluntary. The task-masters above named are ever on the alert, and give them no rest, no time for sober reflection, no opportunity to wander away from the trammels of Mormonism. They are seemingly independent, but their very independence is an abject submission to the will of the iron-handed priesthood. They strive hard to seem virtuous, and talk loud of their refined morality; but as soon as the curtain is drawn aside and the real, actual social condition is viewed, one sees what is generally regarded in other communities as sensuality and corruption. I will not say more on this subject now. Mr. Ferris, a former secretary of State in Utah, has written fully and rather accurately, though too severe, on the matter. But the people would make good citizens if it were not for the fact that they are constantly impressed with the necessity of bowing down to the dictation of the priests in every transaction of life, and made to abide their decisions as final. I like the people much, and believe that they are, at all events, sincerely devoted to the Mormon religion. As an instance of the power of the priest over the people, and also of the manifest perversion of justice, I will call to your notice the trial of the Gunnison murderers, whom Colonel Steptoe had secured after long toil, considerable expense, and the exercise of great tact and judgment. It was for this that he had kept his command in the valley. These Indians were proven guilty of murder. The judge charged the jury that the case was plain; that they must find them guilty of murder, or not guilty. The jury returned a verdict of manslaughter! the highest degree of punishment for which is three years’ imprisonment. These murderers were thus necessarily so sentenced by the judge; nothing more could be done. But by some accident (it has been said by connivance) they were suffered to escape from prison and proceed leisurely back to their band, and were at liberty when I left the lake. Thus escaped the assassins of one our most meritorious officers and of many useful citizens. To those who were present, I am credibly informed, it was manifest that the jury had received ” counsel” which was paramount to their oaths. It was known that a certain meddlesome old man had been permitted to talk to the jury, while they were shut up. Anyone can draw the inevitable conclusion. I myself have heard these priests talk in no flattering language of the chief officers of our government in their tabernacle and before their people. The government, then, should be changed without delay, if for no other reason, to separate Church and State there. I think that any upright, pure man—for instance Colonel Steptoe, who has been appointed governor—could administer the government there with satisfaction to Utah and the general government. A man should be selected who would give dignity to the office, and not degrade it by engaging in traffic as many territorial appointees have done. The people will assist, if properly called upon, to enforce our laws. They number between 40,000 and 50,000. The Mormons have pursued a too conciliating policy towards the rude savages that surround them. They frequently suffer abuse and insolence in consequence. They hold the Indians to be ” brethren,” and have “counselled” intermarriage, and have sent forth missionaries among them. When it is well known abroad that a Mormon elder can have wives of any or all nations; that he generally does have a dozen or more: it will excite no sort of wonder or consequence if he should take a fancy to introduce two or three “Digger” squaws, just to extend a principle! It is generally believed that the Indians there are taught to consider Mormons and Americans as different people. It is certain the Indian makes a distinction. Whether this teaching is sanctioned or prompted by Governor Young, I cannot say; but one thing is plain: be is all powerful to cause them to be properly instructed as to the real relations existing between his people and the citizens of the republic. The map enclosed gives all necessary information concerning the Indians. They gave us no trouble ; and if a regular force were stationed there at suitable points, they could be protected in their rights, and kept from molesting the settlements. The climate of Utah is most excellent and delightful, though rather dry. Nothing is grown there except by aid of irrigation. Last year the crops were abundant, and the people appeared prosperous; but I am sorry to learn that their old enemies and persecutors, the grasshoppers and crickets, are destroying their crops this year. They are so remote from any depot of supply that they must suffer greatly, in case the crops prove a failure. RUFUS INGALLS, Captain, and Assistant Quartermaster.